There have been a few gallery wall features on The Motherboards, not to mention countless tutorials and *inspiration boards* online. This is not another post about that, but more of a pep talk to get art on your walls STAT. I’m not sure if there’s a diagnosable condition for “fear of putting nails in walls,” but if there is, I suffer from it. For years I had what would amount to stacks of photos, artwork and family heirlooms sitting unhung on floors and under tables in our house. 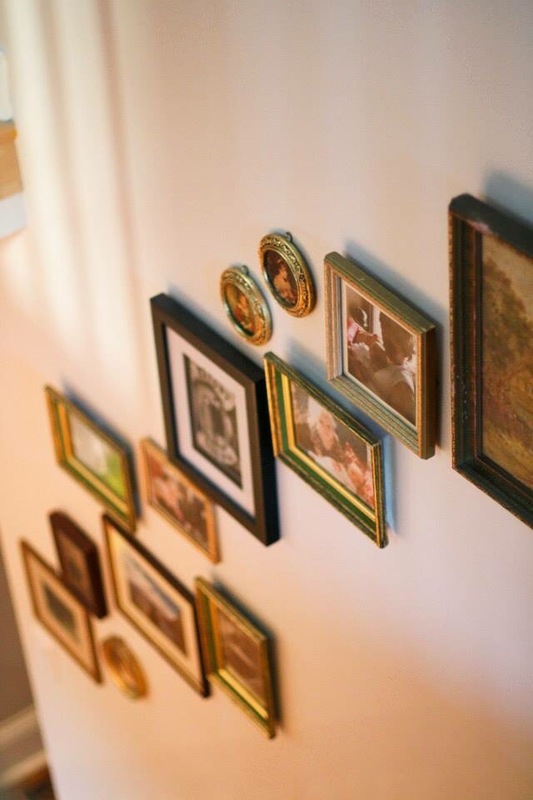 I did a lot of research and design soul searching into what makes the perfect gallery wall, looking at frame style, positioning, type of art, etc. At some point, I realized that all of the gallery walls I was drawn to were the ones where the art was a little crooked, the frames didn’t match, the layout was entirely random and the art inside the frames was, well, pretty much anything. That was inspiration enough to get out my hammer, whatever nails I had in the basement, and get to work. As a natural lover of everything vintage, I regularly look for well-worn frames and even thrift the occasional painting or photograph (and I’m not talking high end antique stores; read: Goodwill). With my stack of misfit frames at my side, I just went for it. The first nail in the wall felt like a huge weight off my shoulders. Piece after piece, I kept eyeballing the position of each frame and hammering in a new nail. 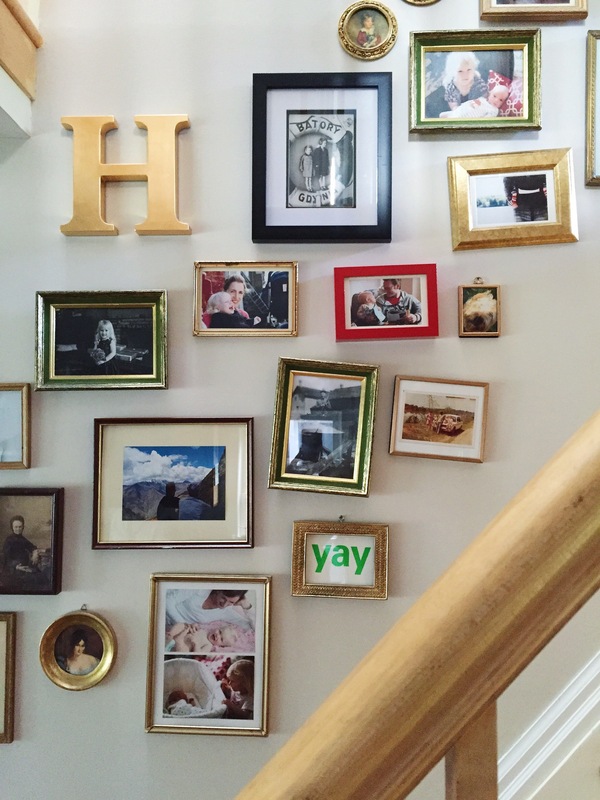 In less than an hour I had the beginnings of the eclectic gallery wall of my dreams. Bottom line: go for it. Life’s not perfect and neither is this, but it got me out of a rut of saying “I just don’t have time,” and has given me one of my most loved areas of our home. From: Decorating and Accessories, Finishings, Get Organized! What a great way to look at it! 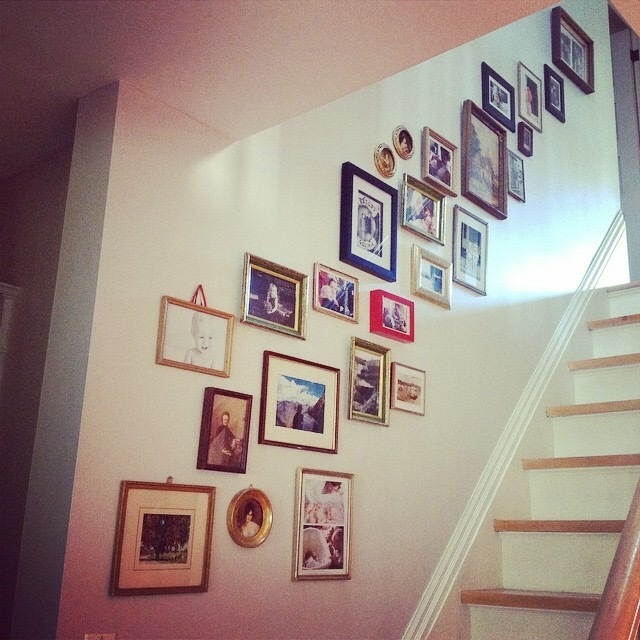 I just “went for it” one day with my stairwell gallery wall and couldn’t be happier. Not perfect, but I’m so in love! Great job! !